Tennis has produced wonderful players right from the beginning. From Bjorn Borg to Roger Federer and from Serena Williams to Caroline Wozniacki, there have been several victorious Tennis players. We cannot miss out the King of Clay, Rafael Nadal, and the very consistent player Novak Djokovic. We can list a lot of successful tennis players like them. All of them have added glory to the sport, to themselves and to their country. Throughout the year, there are several tournaments held all over the world. The French Open, the Wimbledon Championship, the US Open, and the Australian Open are the very famous ones. Every year a player from each category is titled to be the world number one and all other players are ranked according to their performances. Once in four years, players also take part in the Olympic Games competing for their respective nations. The fan base for Tennis is expanding every year and people support their favorite players in all tournaments. Fans witness tennis matches to catch a glimpse of their favorite players. They wait to jump and catch the headbands and wristbands that players throw in the end. These little things are valued by every Tennis fan. Kids interested in Tennis too become the followers of their favorite Tennis player. Despite all that, we give you a list of things that you can gift such determined Tennis fans. 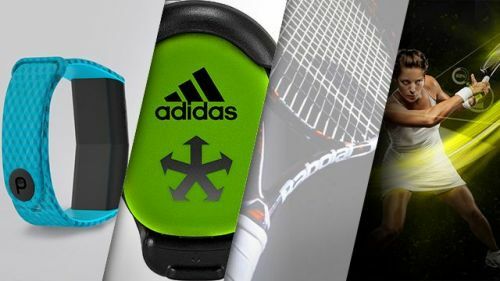 There are a lot of gifting ideas for tennis fans and we have compiled the most ones in here. We have listed gifting ideas that will suit fans of any age groups. Tennis bean bag chair is a cool gift option for each and every tennis fan. You can enjoy watching a tennis match on it or play tennis video games. It is a comfortable place to relax after tiring practice sessions. 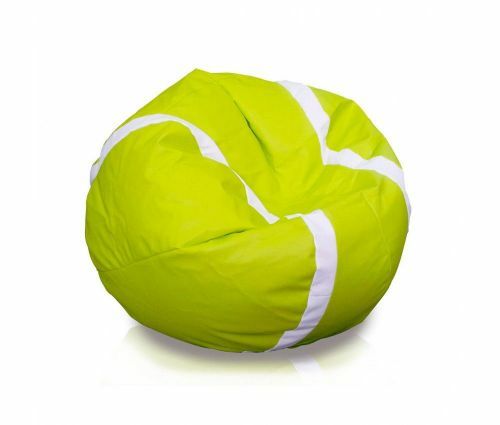 The bean bag chair is designed in the shape of a tennis ball. This is a stylish gifting idea to decorate the rooms of aspiring tennis players. This is the top gifting idea.